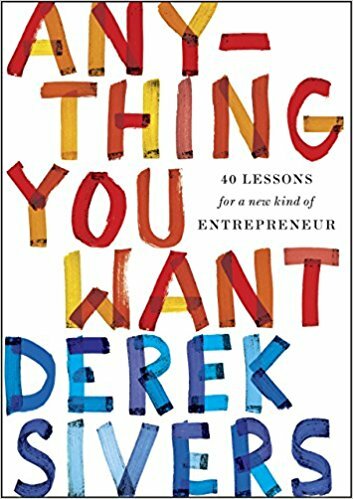 What others thought about "Anything You Want"
You don't need a visionary master plan, loads of funding or a brilliant team to start a business. All you really need is GENEROSITY. When Derek Sivers started CD Baby, he wasn't planning on building a major business. He was a successful independent musician who just wanted to sell his CDs online. He started in 1998 by helping his friends sell their CDs too. In 2000, he hired his first employee. Eight years later, he sold CD Baby for $22 million. Sivers didn't need a business plan, and neither do you. You don't need to think big; in fact, it's better if you don't. Anything You Want will inspire you to start with what you have, care about your customers more than yourself, and run your business like you don't need the money.